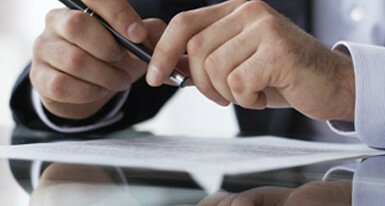 FarmerBrown.com is experience in commercial surety is well documented, evidenced by our customer portfolio. Your surety bonding needs are handled by representatives and managers who specialize in such accounts. This specialization enables us to ensure that surety bond needs are handled quickly and efficiently. These efforts are supported by office staff focused solely on the commercial surety business. Farmer Brown commercial surety bonds are characterized by quick delivery, reasonable rates, mitigation of risks. We understand that companies have unique surety bond needs. In our years of service to contractors and other types of businesses, we have developed bonding programs to address a wide array of risk sizes, types, and special coverage needs. Our bonds are designed to protect against the risks typically faced by these companies through tailored and comprehensive policies. By selecting the best performance bonds from the nation’s top insurance carriers, FarmerBrown.com is able to deliver coverage that represents the greatest value for you. You can obtain an online quote or call (866) 704-0510 today to find out more about the extensive insurance programs offered by FarmerBrown.com to reduce premium cost and risk. Let the FarmerBrown.com team make obtaining your insurance coverage a trouble-free pursuit!